ASUS Chromebox for Meetings Large Room CHROMEBOX2-G023U - Chromeboxes - shop-ca.promevo.com! This all-in-one Chrome device includes a brilliant 21.5" HD display and award-winning design. This web-based console makes it easy to deploy and control users, devices, and apps across a fleet of Chromebooks. This product is on backorder. Please contact salessupport@promevo.com or call 888­-380­-1061 option 2 for more information. ASUS Chromebox for meetings large room is a full video conferencing solution that includes an ASUS Chromebox powered by a 5th Generation Intel® Core™ i7 processor with integrated HD Graphics 5500, a Full HD 1080p video camera, a speaker with a built-in microphone, a user-friendly remote control, a cable accessory kit, and a software package for delivering high-quality, smooth video conferences. 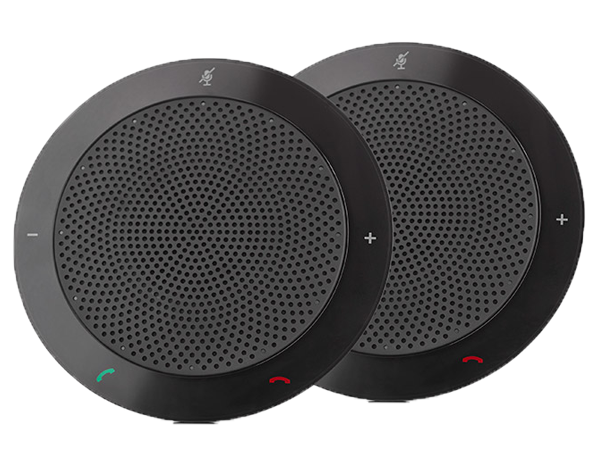 For even larger meetings, the ASUS Chromebox for meetings for the large room contains two combined microphone and speaker units with cables. From small meeting areas to large conference rooms, these tailored solutions are perfectly suited for any location and meeting size to provide convenience and flexibility for your business. 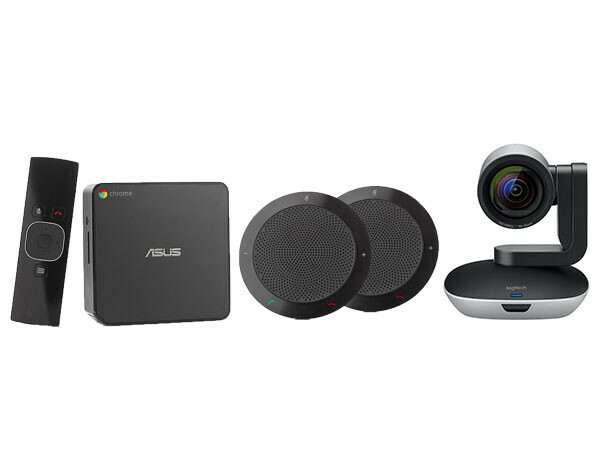 ASUS Chromebox for meetings Large Room uses Google Hangouts to let you meet with anyone on any device from anywhere, whether you are in the conference room, at home, or on the road. Meetings support up to 15 online participants, providing collaboration with colleagues, customers, and partners around the world that’s so easy and lifelike, it feels as if they are in the same room. 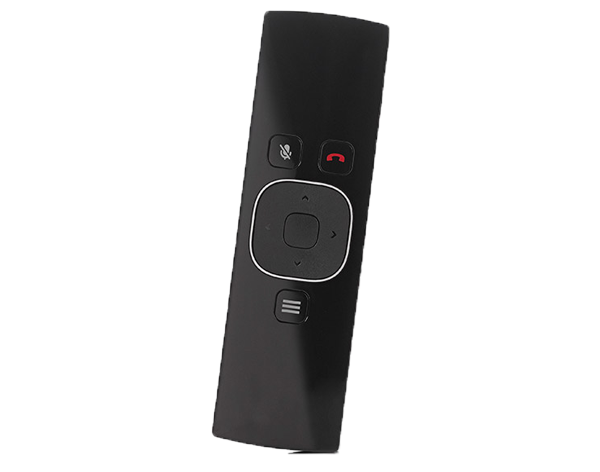 One click from your remote starts the conversation – no more clunky dial-in codes. Share your screen wirelessly and collaborate on documents while you meet. 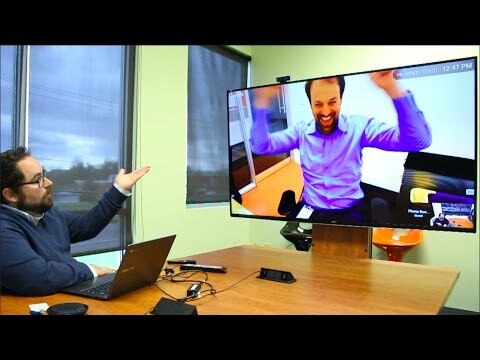 With Chromebox for meetings Large Room, easily share slides, documents and spreadsheets with other participants during your video call whether they’re in touch with you through their personal device or tucked away in a conference room halfway around world. Plug in your display, complete the setup wizard, and you’re done. ASUS Chromebox for meeting Large Room is always up to date with the latest features and security fixes. 24/7 support included. 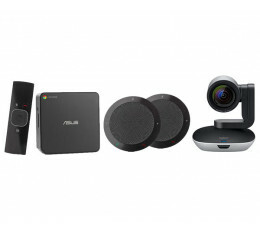 ASUS Chromebox for meetings Large Room is designed for bigger conference areas. To ensure all attendees can express themselves clearly and be heard easily, two speakers with built-in microphones, and extra cables are included in the bundled kit. This bundle enhances meeting productivity and efficiency. 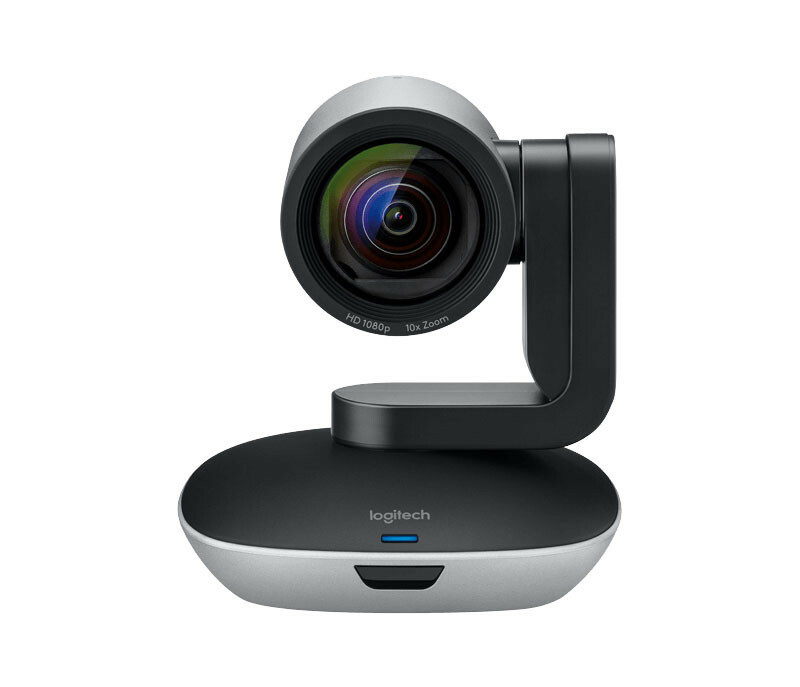 Full 1080p HD, 10x lossless zoom, 90° field of view with mechanical 260° pan and 130° tilt and USB-enabled. Wideband frequency response, built-in DSP for speed clarity, omni-directional microphone with noise filter and mute, end call and volume buttons. 4th generation Intel Core i7 Processor, HDMI and DisplayPort++, 4x USB 3.0, and ethernet and built-in dual band Wi-Fi 802.11 a/b/g/n. Full QWERTY keypad on rear, RF based (no line of sight necessary,) nano-sized USB adapter and wireless. Physical Characteristics:	Midnight Blue, 4.88", 1.65", 4.88"
Additional shipping and/or handling charges will apply in the following circumstances: customer request for liftgate service, inside delivery, expedited/overnight shipments. To obtain a quote on the cost of any of these services please contact edusalessupport@promevo.com.